“Information Engineering”, James Martin and Clive Finkelstein, Savant Institute, Carnforth: Lancs UK (1981). This was the book that started the Information Engineering Revolution in the 1980’s. "An Introduction to Information Engineering", Clive Finkelstein, Addison-Wesley, Sydney: Australia (1989). This book covers the history and evolution of Information Engineering. "Information Engineering: Strategic Systems Development", Clive Finkelstein, Addison-Wesley, Sydney: Australia (1992). This is the “how-to” book on using Information Engineering. “Enterprise Architecture for Integration: Rapid Delivery Methods and Technologies”, First Edition, Clive Finkelstein, Artech House, Norwood, MA (March 2006). This first edition of the EA book is available in hardcover from the publisher Artech House or Amazon. The book brings together the methods and technologies for rapid delivery of Enterprise Architecture in 3-month increments. Read the Book Review. “Enterprise Architecture for Integration: Rapid Delivery Methods and Technologies”, Second Edition, Clive Finkelstein, (June 2011). This 540 page eBook Second Edition of the EA book has a Foreword written by John Zachman. “Enterprise Architecture for Integration: Rapid Delivery Methods and Technologies”, Third Edition, Clive Finkelstein, (Feb 2015). This 574 page eBook Third Edition has an updated Foreword written by John Zachman. It is available for purchase online for download in PDF, or as an iBook for the Apple iPad and as an eBook for the Amazon Kindle. Clive Finkelstein is now retired. 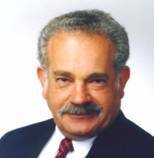 He was an internationally renowned consultant and instructor, and completed projects for Defense, Government and Commercial organizations throughout the world and in most industries. Many projects have involved the Zachman Framework for Enterprise Architecture, using the latest methods and technologies for rapid delivery of priority areas into implementation. These methods use Enterprise Engineering for rapid definition of Enterprise Architecture. His technology focus addresses Enterprise Integration technologies using XML, Enterprise Application Integration (EAI), Enterprise Portals, Web Services and Service-Oriented Architecture (SOA) for Business Process Management (BPM) using XML-based BPM languages. He provided training and consulting in all aspects of the Zachman Framework for Enterprise Architecture, with rapid delivery of priority areas using Enterprise Engineering. His application of these methods in large and medium Government, Defense and Commercial enterprises resulted in Business Transformation Enablement, so that business and IT managers and their staffs can plan for and achieve rapid business change. Enterprise Architecture provides a Governance Analysis Framework that supports Sarbanes-Oxley and other Governance Audit requirements. It provides direct support and linkage to Balanced Scorecard for Strategy-Focused Organizations, to ensure that IT systems and databases support defined Scorecard Measures, Strategy Maps and Governance requirements. He published a free, quarterly technology newsletter via email: “The Enterprise Newsletter (TEN)”. Past issues of TEN are at: http://www.ies.aust.com/. His books and papers are at http://www.ies.aust.com/cbfindex.htm. He can be contacted at clive.finkelstein@ies.aust.com. .
Clive Finkelstein, "Information Engineering" - six InDepth articles, US Computerworld, Framingham: MA (May - June 1981). Clive Finkelstein and James Martin, "Information Engineering", Savant Institute, Carnforth, Lancs: UK (Nov 1981). Clive Finkelstein, "An Introduction to Information Engineering", Addison-Wesley, Sydney: Australia (1989) [ISBN: 0-201-41654-9]. Clive Finkelstein, "Information Engineering : Strategic Systems Development", Addison-Wesley, Sydney: Australia (1992) [ISBN: 0-201-50988-1]. Jessica Keyes (Ed), "Software Engineering Productivity Handbook", McGraw-Hill, New York: NY (1993) [ISBN: 0-07-911366-4] - with Chapter 4 by Clive Finkelstein. Peter Aiken, "Data Reverse Engineering: Slaying the Legacy Dragon", McGraw-Hill, Washington: DC (1995) [ISBN 0-07-000748-9] - with a Foreword by Clive Finkelstein. Peter Bernus et al (Eds), "Handbook on Architecture of Information Systems", Springer-Verlag, Berlin (1998) [ISBN: 3-540-64453-9] - with Chapter 18 by Clive Finkelstein. Clive Finkelstein and Peter Aiken, "XML and Corporate Portals". An Extract from "Building Corporate Portals using XML" (above), IES Web Site (2000). Carol O'Rourke, Neal Fishman, and Warren Selkow, "Enterprise Architecture Using the Zachman Framework", published by Course Technology, a division of Thomson Learning, Inc. Boston, MA (2003) [ISBN: 0-619-06446-3] - with a Foreword by Clive Finkelstein. Click to read a review, with book availability links. Clive Finkelstein White Paper, "Governance Analysis using Enterprise Architecture - A Practical Approach for Rapid Enterprise Compliance with Sarbanes-Oxley Driven IT and Business Governance Requirements", June 2004. Download Executive Summary or Download White Paper in PDF now. "Enterprise Architecture for Integration: Rapid Delivery Methods and Technologies”, Third Edition, Clive Finkelstein, (Feb 2015). Clive Finkelstein, "The Enterprise Newsletter" (TEN). A series of quarterly Newsletters, emailed free world-wide on the impact of Technology on today's modern enterprise. IES Web Site (1998 - Present). Click here to Read Current and Past Issues. Clive Finkelstein, "The Enterprise". A series of columns published monthly in DM Review on the impact of Technology on today's modern Enterprise. Click here to Read Current and Past Columns on the DMReview web site. A Ken North Interview of Clive Finkelstein discussing the history and evolution of Information Engineering is available on the SQL Summit web site at http://www.sqlsummit.com/CFinkelstein.htm. This interview can be viewed online with video, or in audio only if preferred for dial-up connections. Video Clips of John Zachman discussing aspects of the Zachman Framework for Enterprise Architecture are available for online viewing from the Intervista Institute web site at http://www.intervista-institute.com/. Visit this web site also for Course Outlines and the latest Schedule of John Zachman's North American seminars. Published on IES Web Site, March 2004. Click here to view the Course Description, Objectives and Outline of many of the above courses in our Online Store. In the Online Store, click on the "In-house Courses" link or the "Self-Study Courses" link and drill down to review details of relevant courses of interest. Email Clive Finkelstein directly with a description of your training needs, your location and your time-frame.